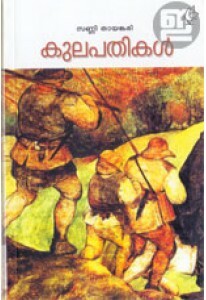 Malayalam version of Amish Tripathi's famous novel 'The Immortals of Meluha', translated by Rajan Thuvara. Shiva, one of the chief Hindu deities, is portrayed in an entirely different light in 'Meluhayile Chiranjivikal'. It charts Shiva's journey from the mountains with his Tibetan tribesmen to the kingdom of Meluha, which is occupied by the Suryavanshis, a race of people who are descendants of Lord Ram and live along the banks of the River Saraswati. It is set in 1900 BC, in what the modern Indians mistakenly call the Indus Valley Civilisation. The inhabitants of that period called it the land of Meluha – a near perfect empire created many centuries earlier by Lord Ram, one of the greatest monarchs that ever lived. The once proud empire and its Suryavanshi rulers face severe perils as its primary river, the revered Saraswati, is slowly drying to extinction. They also face devastating terrorist attacks from the east, the land of the Chandravanshis. To make matters worse, the Chandravanshis appear to have allied with the Nagas, an ostracised and sinister race of deformed humans with astonishing martial skills. The only hope for the Suryavanshis is an ancient legend – ‘when evil reaches epic proportions, when all seems lost, when it appears that your enemies have triumphed, a hero will emerge’. Is the rough- hewn Tibetan immigrant Shiva, really that hero? And does he want to be that hero at all? Drawn suddenly to his destiny, by duty as well as by love, will Shiva lead the Suryavanshi vengeance and destroy evil?